This decade will go down in weather history as one of the wildest in modern times. Since 2010, we’ve seen both the widest and strongest tornado on record touch down in Oklahoma. Mexico felt the wrath of the strongest hurricane ever recorded in terms of wind speed. The American West is enduring a years-long drought with no end in sight. But it’s not all bad news. This decade is also on track to see the lowest number of lightning deaths we’ve ever recorded in the United States, and that’s quite the accomplishment. Lightning is an underestimated killer. We’re so used to thunderstorms that their presence is almost second nature unless they’re unusually strong. Scientists estimate that we see about 16,000,000 thunderstorms around the world every year, and the United States alone averages about 22.5 million flashes of cloud-to-ground lightning in a typical year. That’s a little nerve-wracking when you consider that a single bolt of lightning is hotter than the surface of the sun and packs enough electricity that a direct strike to your body can stop your heart before you have time to react. Most people who are struck by lightning survive the frightening encounter, though with some serious lingering effects. Lightning is usually only deadly when the electrical charge crosses a victim’s heart and causes it to stop beating, and even then they can be revived if a fast-acting bystander performs CPR. Given the amount of lightning that crashes around us on a regular basis, you’d expect the number of lightning deaths in the United States to be sky high, right? Surprisingly, no: Since 2010, we’ve only seen an average of 26 people die each year due to lightning strikes. Just over two dozen lightning deaths every year sounds like a big number, sure, but the overall downward trend of lightning fatalities over the past 75 years is one of the most incredible weather statistics out there. We’ve seen a steady decline in the number of lightning fatalities almost every year since recordkeeping began back in 1940. During the 1940s, you could expect an average of 329 people to die as a result of a lightning strike every year. By the 1960s, the average number of fatalities had dropped by more than half to just 133 deaths per year. 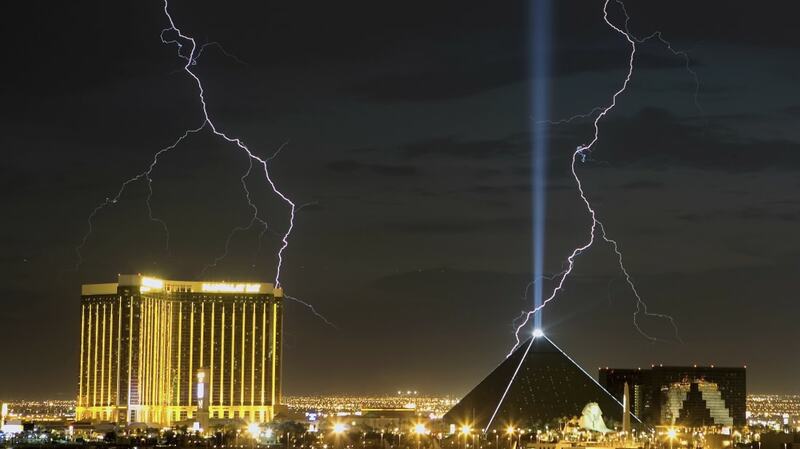 The new millennium brought about an average of just 41 lightning deaths per year, and the number continued to slowly tick down with time. Why are we seeing fewer lightning deaths in the United States than ever before? It’s more complicated than any one cause, but there are at least three major factors at play. The first is the most obvious—you’re probably reading this article indoors at your computer or on your phone. If you were around in the middle of the 20th century and didn’t live in a city, you spent significantly more time outdoors for both work and play than we do today. The simple act of more people spending more time indoors is a significant factor in the rapid drop-off in lightning fatalities. Another major factor was the invention of weather radar after World War II. Before radar came into widespread use, threatening clouds on the horizon or distant rumbles of thunder were your only clues that a thunderstorm was on its way. If a storm is close enough that you can hear thunder, you’re close enough to be struck by lightning. Weather radar took the surprise out of approaching storms, and now we can watch bad weather roll toward us before you can even see the clouds out your window. The third factor likely has to do with education. We know so much more about the weather today than we did a few decades ago, let alone in the middle of the 1900s. Weather safety education in school, on the Internet, and through efforts by organizations like the National Weather Service—“when thunder roars, go indoors!”—have helped tremendously in raising public awareness about the dangers of lightning and how to find safe shelter when a storm bubbles up.